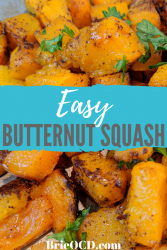 This butternut squash recipe is super simple and super deeeelicious! I was over my friend Lindsay’s house a few years ago and she made this for dinner. I was in heaven! 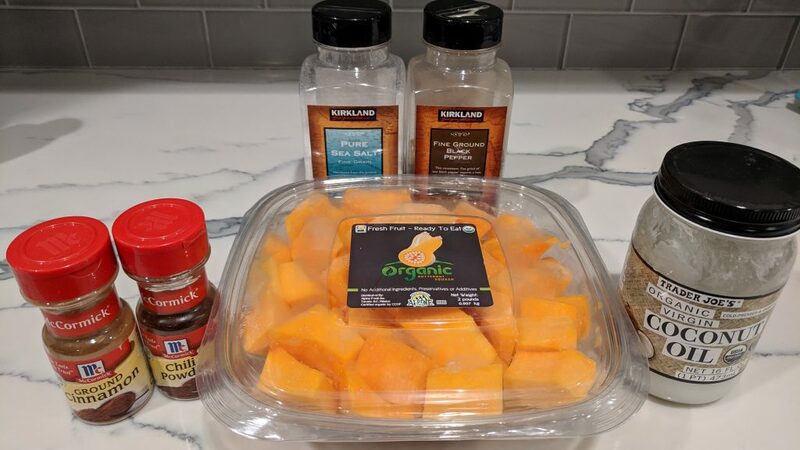 I don’t even think I had ever tasted butternut squash before that night. Let me tell you I haven’t looked back! I call this bodacious, one, because it is. Two is because their dog is named Bodie so I thought it was fitting. (I’m a nerd like that). This recipe takes 5 minutes prep and approximately 35 minutes in the oven. This recipe calls for a few ingredients that most should have in their pantry already. 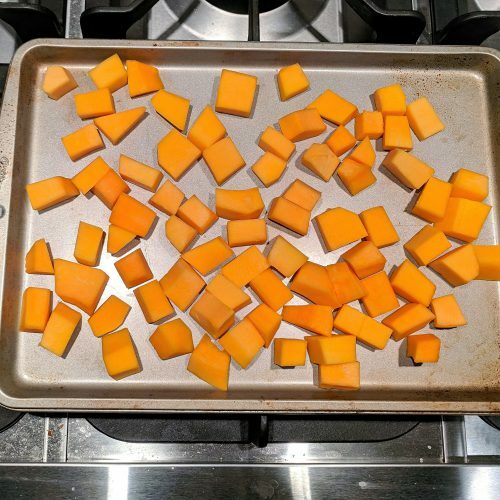 I buy my squash pre-cubed because “ain’t nobody got time” for hacking through a raw butternut squash. I buy the 2# package from Costco but other grocers also carry it pre-cut (just probably not as big of a package). This recipe is gluten-free and vegetarian! Hip Hip HOORAY! It is a hearty side that will surely leave you coming back for more. Per serving it has 114 calories, 3.5g fat, 20g carbs and 4g of protein. It is simple, filling and the perfect side! 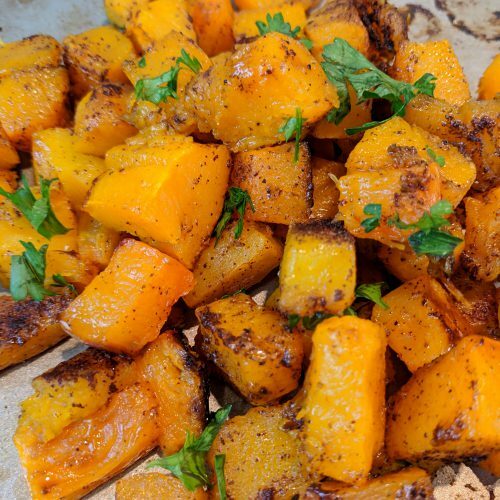 If you like this recipe, also try my Cranberry & Feta Butternut Squash Recipe to switch it up! Hope you enjoy this recipe as much as we do!! 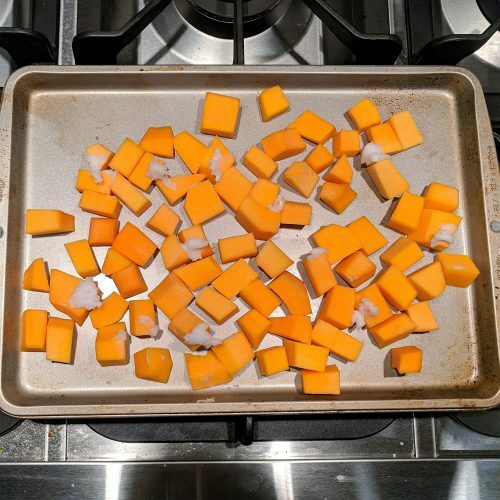 spread cubed squash evenly on an UNGREASED baking tray. 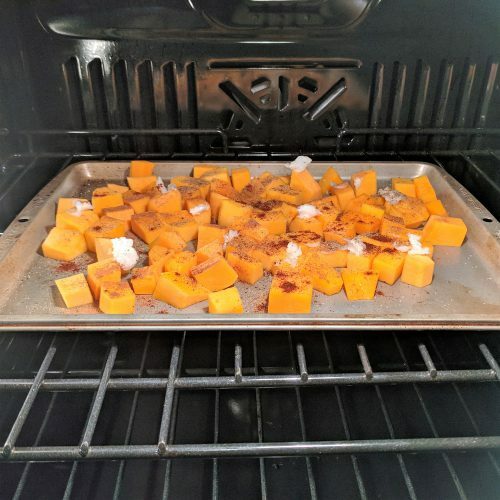 put chunks of coconut oil on top of squash in random spots. 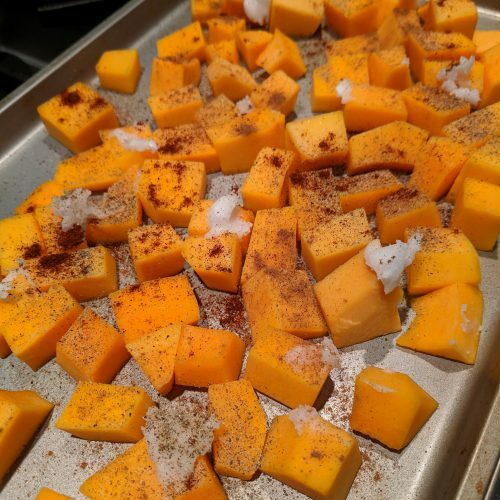 evenly season with salt, pepper, cinnamon and chili powder. 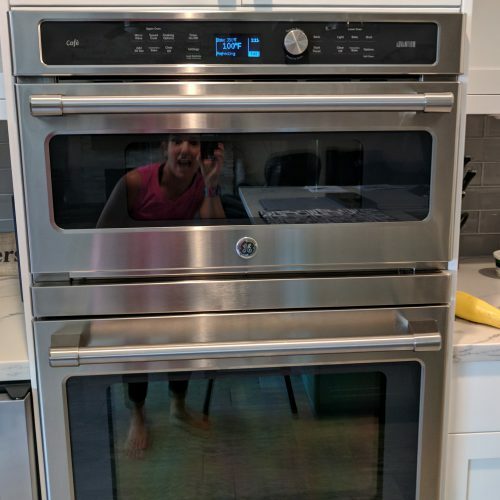 bake for approximately 35 minutes, flipping halfway through. garnish with parsley (if desired) and serve with swizzle's grilled steak or your favorite main! Enjoy!